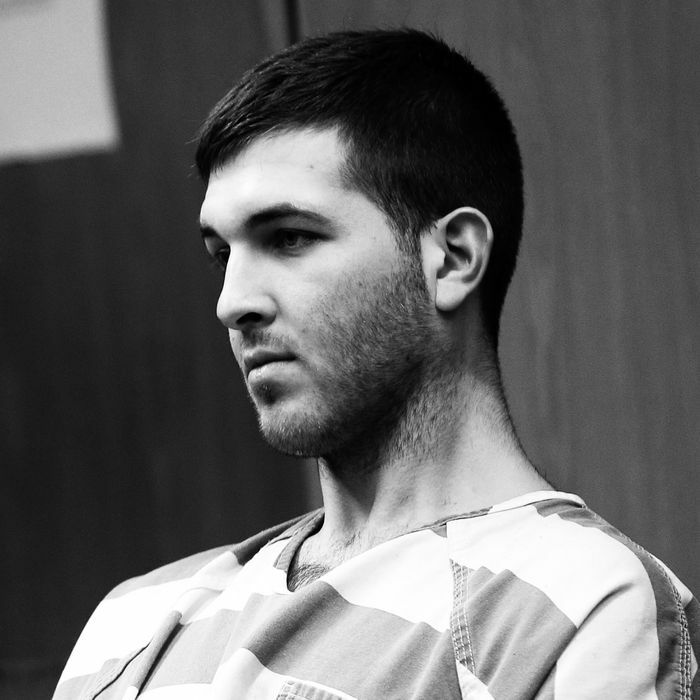 A 24-Year-Old Is Accused of Killing a Mob Boss. It Gets Weirder From There. The murder, at first, seemed like a major mob hit out of 1980s New York: In a Staten Island neighborhood with mafia ties, the alleged head of the Gambino crime family gets gunned down outside his home on March 13, where he dies from multiple wounds. But as the story has developed, the details surrounding it have only grown to be increasingly bizarre and have yet to fit together in any totally logical way, convincingly suggesting that this shooting was no mob hit at all. Below, here’s everything we know. The night of March 13, the New York Times reports that alleged boss of the Gambino crime family, 53-year-old Francesco Cali, was fatally shot outside his house in Todt Hill, Staten Island. Per surveillance footage, a pickup truck rammed into a vehicle and knocked off its license plate outside of Cali’s home, which compelled him to come out of his house. The suspect and Cali then approached each other, where the former handed Cali the detached license plate and then shot him six times. His name is Anthony Comello, and he’s a 24-year-old Staten Island native who lived with his parents, and who law officials say has no mafia ties. On March 16, law enforcement identified Comello as the owner of the pickup truck in the surveillance video and arrested him in Brick, New Jersey, where he was hiding at a family house. Per Rolling Stone, Comello almost immediately confessed to the murder and is currently being held in New Jersey’s Ocean County Jail. Why would Comello kill Cali? Is there anything else about the suspect worth knowing? On March 26, Gottlieb pointed to not only to “right-wing conspiracy websites,” but also hate speech coming from “politicians, including right at the White House” as being highly influential on his client. Does Comello’s apparent adherence to a right-wing conspiracy really have anything to do with his motivation to murder? Was he yet another QAnon follower who’s prone to violence? Also, another detail worth noting: Per NYPD Deputy Commissioner John Miller and other police sources, Comello has recently attempted to make a number of citizen’s arrests of politicians. On February 21, he showed up at a federal courthouse in lower Manhattan, asking to make a citizen’s arrest of California Democratic representatives Adam Schiff and Maxine Waters; the next day, he tried to do the same with Mayor Bill de Blasio. Given the twists that this case has already taken, we can’t even imagine what’s next. But Selwyn Raab, author of Five Families: The Rise, Decline, and Resurgence of America’s Most Powerful Mafia Empires, has a prediction. This post will be updated as we learn more.